For technology resellers pursuing focused Cloud growth strategies, external funding is often pivotal to success. Whether seeking this funding from private equity, venture capitalists, increased operating lines of credit, or through some form of merger or acquisition, CloudSpeed can help narrow the field to serious bidders only, and help resellers secure the capital they need to grow their businesses. Creating shareholder value in the Cloud requires a very specific operating model which aligns marketing, sales, solution delivery, and financial management around very specific performance thresholds and benchmarks. If adequate financial performance is not “engineered in” from the start, a reseller’s business model transition will most often run aground. 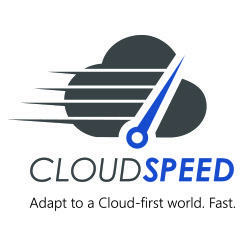 CloudSpeed possesses the tools and the experience to ensure a Cloud business is “dialed in” for success from the start. Potential purchasers of technology resellers often have limited insight into their core value and profitability, and risk overpaying for an acquisition. Conversely, resellers wishing to sell their businesses often do not fully understand how a potential purchaser truly values their business, and so risk settling for less than they could. CloudSpeed reduces the risk for either party, by performing due diligence on company valuations, and helping shape post-acquisition value creation strategy. For software publishers, the biggest risk is often misunderstanding where their reseller channel is really at. And what it will take to achieve their core Cloud objectives. CloudSpeed research cuts through the chatter and clutter, and provides software publishers with the insights needed to structure programs that will fully motivate their channel Partners. In a Cloud-first world, reseller own IP is pivotal both to satisfying customer demand and earning healthy margins. Yet many Partners feel it too complicated and costly to develop. The CloudSpeed IP Staircase represents a fast track framework for Partners to identify how they can leverage their existing expertise and historical projects to quickly and cost-effectively develop and monetize their own IP.